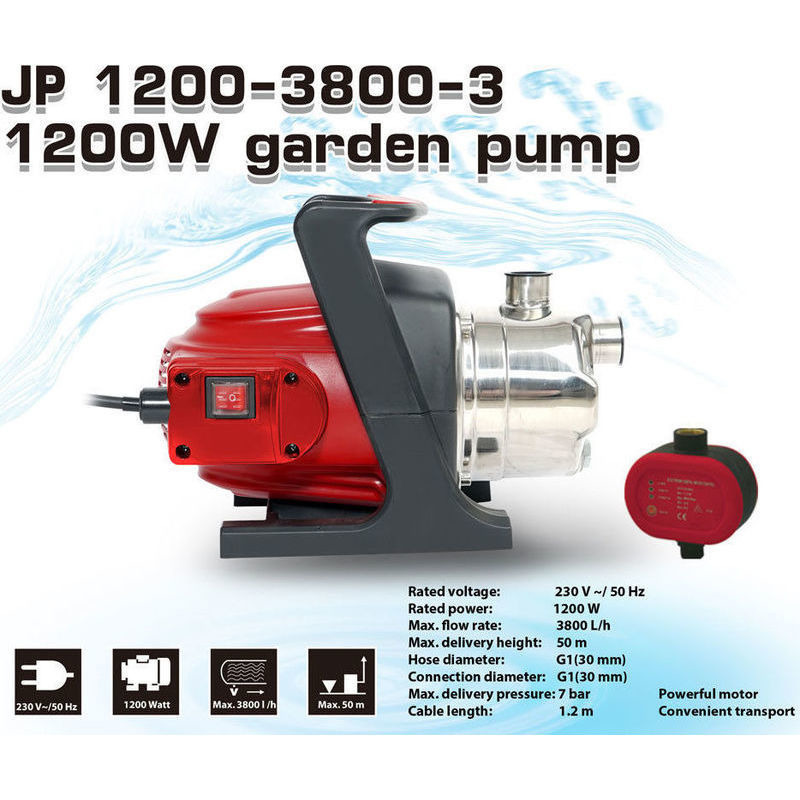 This garden water pump is ideal for connecting your rain tank or irrigating your garden! 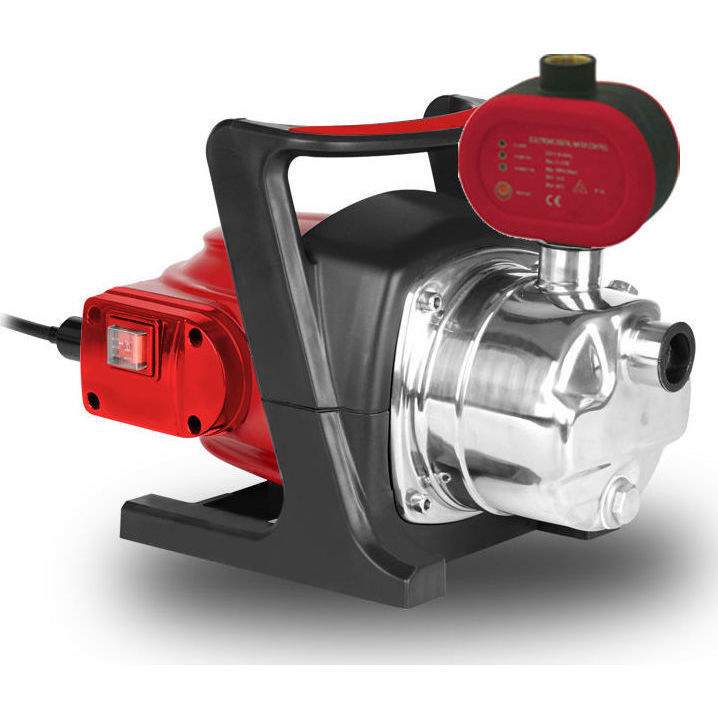 It's compact & convenient to transport, and can deliver 4.6 bar pressure. 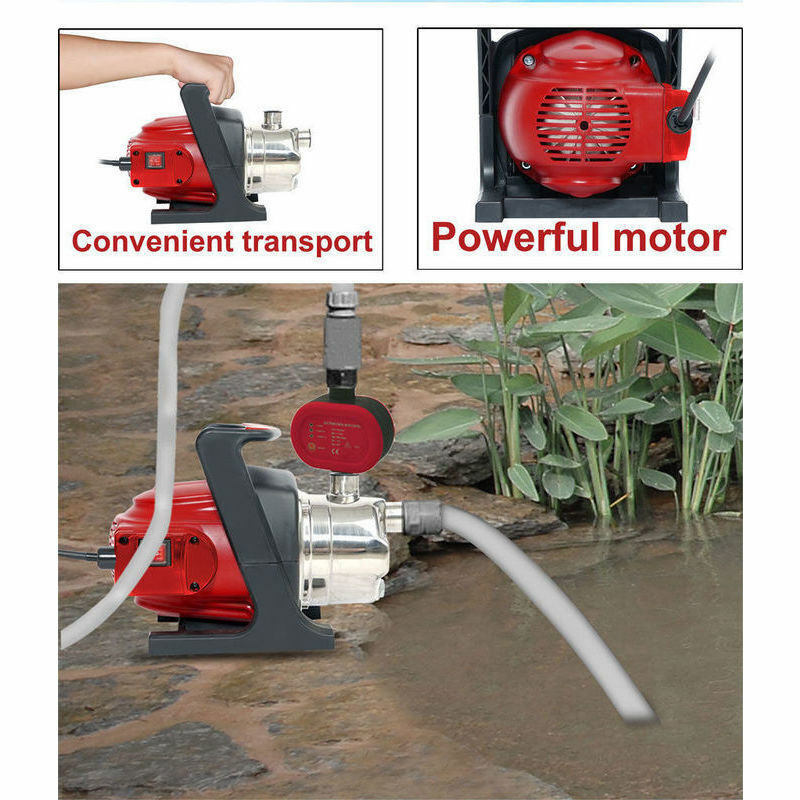 This stainless steel garden water pump is ideal for connecting your rain tank or irrigating your garden. 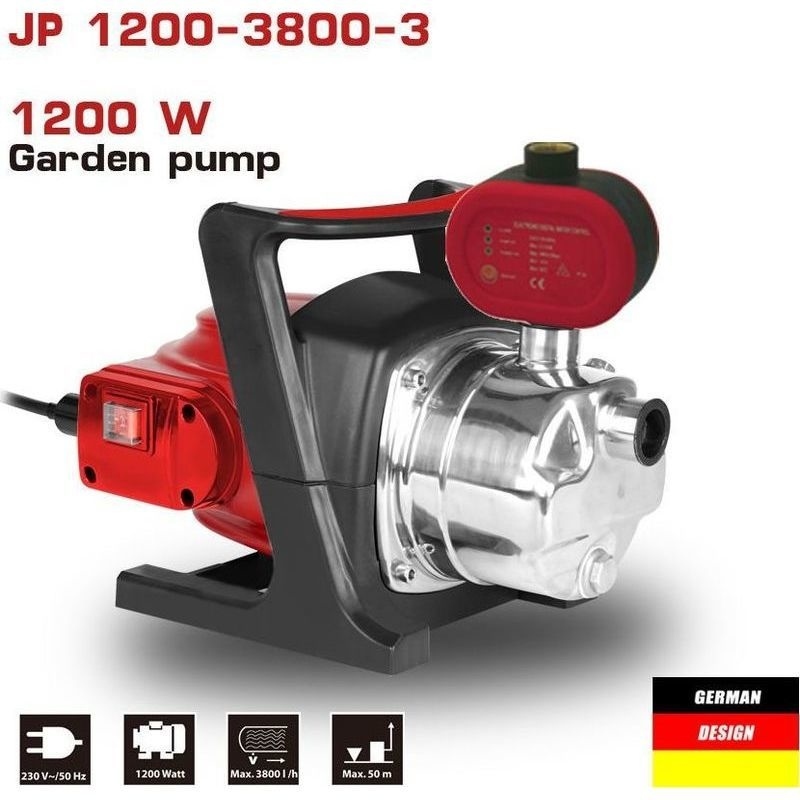 With 1200W, it will produce a constant flow rate of 60L/min assuring it will provide ample pressure for your garden hose and sprinklers. Featuring long-life design it will last to the end.